Following the Yankees salvaging game three to avoid a sweep at the hands of the Rays in Tampa Bay, the Yankees head back home for a week-long home stand. 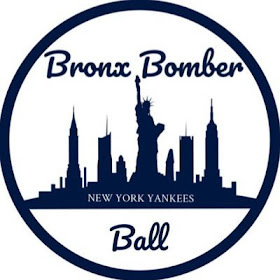 The Yankees open up on Monday night in the Bronx against the Kansas City Royals in a four game set. The Yankees just took two of three in Kansas City last week, and will be looking for another series win to get some momentum going into the weekend. Prior to his start against the Yankees last week, Vargas was the MLB's league leader in ERA. However, the Yankees shelled Vargas moving his season ERA up from 1.01 to 2.03 after he lasted just four innings allowing seven hits and six earned runs. 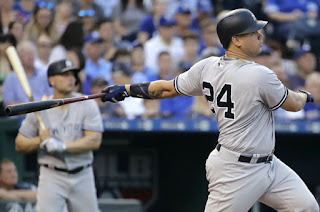 The Yankee bats were alive in that game as every Yankee starter recorded a hit, including a 3-4 night from Starlin Castro and a home run from Aaron Hicks off Vargas. 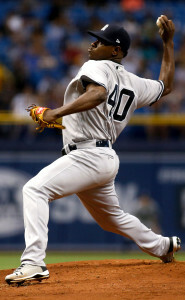 Michael Pineda got the win in this matchup last week recording his fifth quality start in eight outings this season. The Yankees will look to come out firing on all cylinders once again against Vargas in the first game of the series. Look for the Yankees to set the tone early if they want to win this series. In another rematch from last week, two southpaws will be on the hill in game two of this four-game set. For the Royals, it will be arguably their most talented pitcher Danny Duffy. Duffy stifled the Yankees last week to avoid the sweep going seven innings allowing no runs, three hits, and 10 strikeouts. Duffy can be a big strikeout pitcher with absolutely dominant stuff and if he's on again, look out. On the flip side, Jordan Montgomery will look to get back on track for the Yankees. After impressing in his first few starts, Montgomery has endured some struggles of late which has seen his ERA creep up towards 5.00. 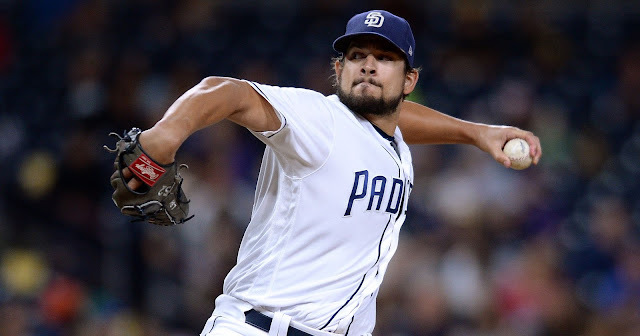 Despite his strong start, Montgomery may be pitching for his job pretty soon with Chad Green dominating out of the bullpen, and Chance Adams continuing to show top-line potential in Triple-A. Game three presents another great opportunity for the Yankee offense to explode against an unimpressive starting pitcher in Jason Hammel. Hammel, a 15-game winner a year ago with the World Champion Chicago Cubs, has been completely very disappointing this season for the Royals, and the Yankees took advantage of that last week when he faced the Bronx Bombers. Hammel went six innings but surrendered nine hits and five earned runs. He also allowed home runs to Gary Sanchez and Chris Carter as the Yankees opened up the series with a big win. On the other hand, Severino has been much worse at home than he has been on the road with a 5.09 ERA in Yankee Stadium this season compared to a 2.25 road ERA. Severino has shown really solid strikeout stuff early in this season and will look to go deeper in this game than he has in his last two outings. If the Yankees want to win this series, they should consider Wednesday's game a must-win. The Yankees will wrap things up with a day game in the Bronx before welcoming in the Oakland Athletics for a three-game weekend set. While it has not been officially announced as to who will start this game for the Kansas City Royals, the expectation is that either Chris Young or Nate Karns will have the ball, and likely the latter. Young has a 6.20 ERA in 10 career appearances vs. the Yankees whereas Karns has a very respectable 2.70 ERA lifetime against the Yankees in five appearances. Karns is coming off a solid outing where he allowed just one earned run over five innings against Minnesota. This could be a tough game for the Yankees, but Masahiro Tanaka should use this game to get back some desperately needed confidence. Over his last two outings, Masahiro Tanaka is 0-2 with a 28.93 ERA, and he has allowed seven homers in just 4.2 innings pitched. Over the course of this season, Tanaka has seen his ERA balloon to a disgusting 6.56, which is the third worst mark in the Major Leagues. Tanaka was supposed to be the strongest point of an otherwise weak Yankee rotation, and the fact that he has by far been the Yankees worst pitcher in the big leagues this year spells trouble for the New York Yankees if he doesn't turn it around soon. Before his injury on April 8, Gary Sanchez was hitting just .150 with one home run and two RBIs in five games. Since returning, Sanchez is hitting an impressing .370 with three home runs and nine RBIs in 12 games. He's re-established himself as a heart of the order force for the Yankees which is just what this team has needed. Aaron Judge is doing it all this season. 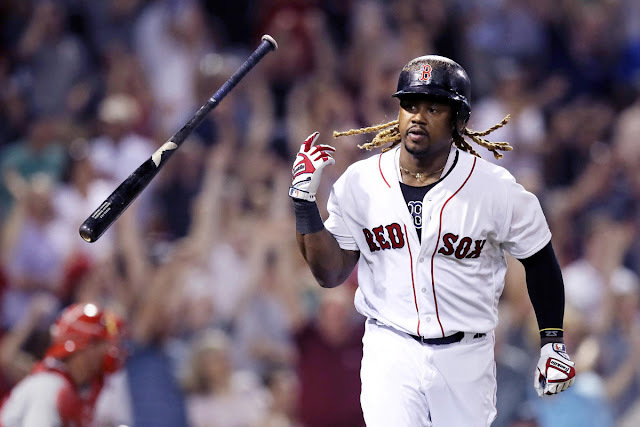 Baseball's home run leader is always a player to watch as he has propelled himself to being one of the most exciting young players baseball has to offer. Tanaka must get back on track in this series against the Royals. He has clearly been frustrated with himself (and rightfully so). If Tanaka continues to get pounded, the Yankees may need to see if their high-paid pitcher is injured, or look into other options for the struggling Yankee pitcher. When Danny Duffy is on, he's one of the more electric arms in all of baseball. The Royals have a really talented lefty in Duffy and he has displayed his talent over the last season and a half. He could pose as a real problem for the Yankees. Hosmer hit just .225/.281/.292 in April, but has put together a resurgent May getting back to form as he's hit .397/.462/.559. A dangerous hitter at any time, Hosmer is even more dangerous when he's hot. Hosmer could be prepared to do some damage this week with that short right field fence in Yankee Stadium. The versatile utility man for the Royals has come alive for his club over the last week hitting .333 with a home run that came against the Yankees. He's a threat on the base paths and at the plate and could be a real thorn in the Yankees side this week.